Students from Sheridan High School, along with several thousand students from all over the state, spent Feb, 2-3 in Jonesboro competing for spots in the Arkansas All-State Bands, Choirs and Orchestras. 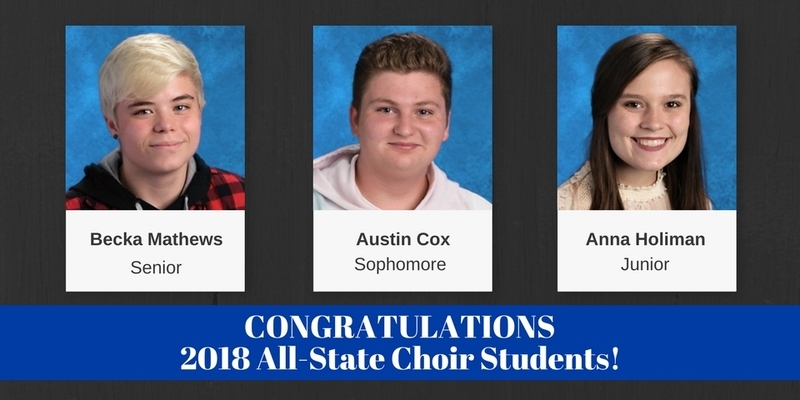 Three SHS choir students earned spots in the All-State Choir: Anna Holiman, Austin Cox and Becka Mathews. 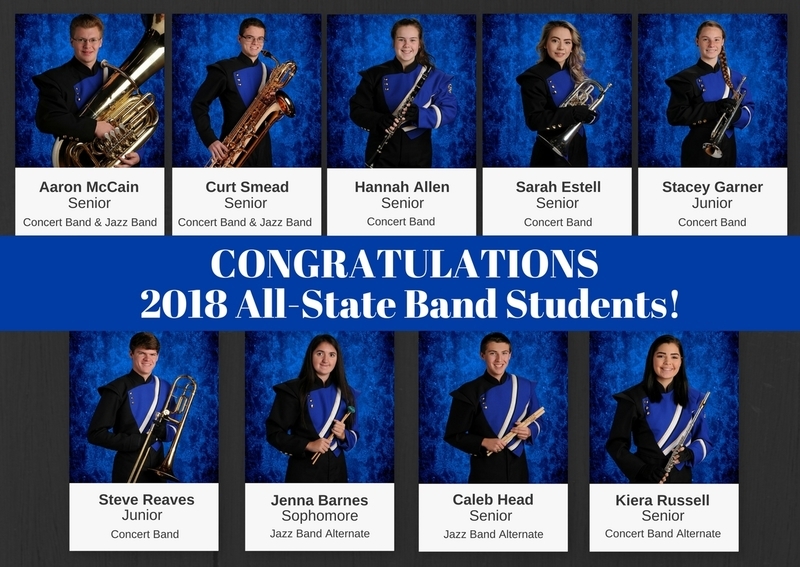 They will represent Sheridan High School at the 2018 All-State Music Conference, Feb. 15-17, at the Hot Springs Convention Center. Their clinicians are Dr. Tim Peter from Stetson University in Florida, Dr. Kelly Miller from University of Central Florida and Bruce Rogers from Mount San Antonio, California. They will present their final concerts on Saturday, Feb. 17 in the Hot Springs Convention Center beginning at noon. Four jazz band students earned spots in the All-State Jazz Bands. Curt Smead and Aaron McCain will represent Sheridan High School at the 2018 All-State Music Conference, Feb. 14-15, at the Hot Springs Convention Center. Their clinicians are Dr. Terry Segrass from Southwest Oklahoma State University and Dr. Michael Parkinson from Middle Tennessee State University. They will present their final concerts on Thursday, Feb. 15 in Horner Hall at the Hot Springs Convention Center beginning at 7:30 p.m. Caleb Head and Jenna Barnes earned spots as alternates in the Jazz Band. Seven Sheridan High School students earned spots in the All-State Concert Bands. Hannah Allen, Sarah Estell, Stacey Garner, Aaron McCain, Steve Reaves and Curt Smead will represent Sheridan High School at the 2018 All-State Music Conference Feb. 15-17 at the Hot Springs Convention Center. Their clinicians are Dr. Robert Ambrose from Georgia State University, Dr. Kenneth Bodiford from Jacksonville State University and Alfred Watkins from Lassiter Senior High in Georgia. They will present their final concerts on Saturday, Feb. 17 in the Hot Springs Convention Center beginning at noon. Kiera Russell earned a spot as an alternate for the Concert Band.